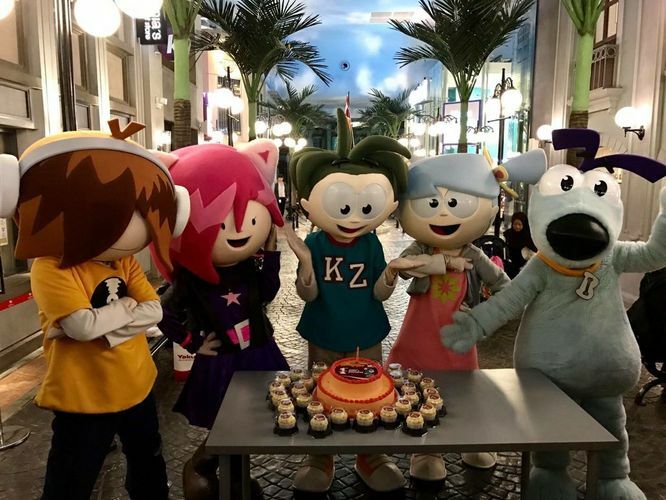 Kids can look forward to a joyful celebration at KidZania Singapore from 5 to 15 April as the City turns two! Kids can expect to have fun at special carnival game booths and a bouncy castle. For just S$10, kids who purchase the carnival wristband will receive a birthday pack filled with goodies from KidZania Singapore’s Industry Partners, a free A5 photograph and unlimited access to the carnival game booths and have bounce-iful fun on the giant bouncy castle! Witness history in the making as KidZania Singapore forms its first KidZania CongreZZ. The KidZania CongreZZ is the national legislative body of KidZania Singapore. 21 kids will be inaugurated into the KidZania CongreZZ on 8 April. The CongreZZ will meet up regularly to discuss key topics for a term of one year. Members of the KidZania CongreZZ will also have a role in decision-making to enhance activities at KidZania, for the betterment of the community; their combined inputs keep the KidZania experience current, fresh and relevant. From 1 to 10 April, all earning jobs in the city will offer double the kidZos in salaries to all kids. To encourage kids to better understand and appreciate the importance of saving, 10 kids who have saved the most kidZos in their bank accounts by 10 April will stand a chance to have their kidZo bank balance doubled! Families who visit the City this April can enjoy attractive savings with the Double Bundles, available for walk-in purchases only. Exclusive to Maybank Cardmembers only, receive a limited edition 50 kidZo note when payment is made with any Maybank Card this April, while stocks last. Regular admission charges to KidZania Singapore apply. A carnival wristband at S$10 is available for purchase which entitles visitors unlimited access to the Carnival activities.